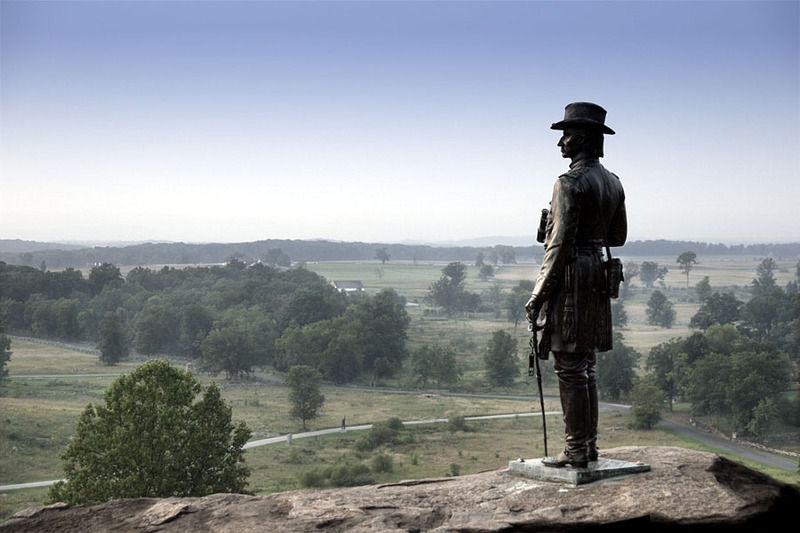 This statue looks over the Gettysburg battlefield (Pennsylvannia West coast of USA). We had the great opportunity to visit this historic place 2 weeks ago. Tens of thousand of people passed away on this tragic field during the battle that happened there in July 1863. The battle of Gettysburg is considered as a cornerstone of the US civil war. The Union troops from the North dominated by the Confederates army since the beginning of the war begun to take over and will eventually defeat the South two years later. This is what I understand from our tour in the small museum of Gettysburg. Great composition on this historic place.